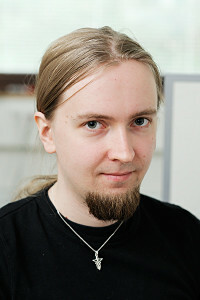 I am a network scientist and an assistant professor at the Aalto University, where I also obtained my doctoral degree. Before coming back to Aalto I was a postdoctoral scholar at the Mathematical Institute at the University of Oxford. My academic background lies somewhere between mathematics, computer science, and physics. I’m equally happy to work with data, models, and algorithms as long as the work has a potential for real-world applications. I like my science interdisciplinary, data big, and models simple. My research area is the relatively new field of "network science" or "complex networks". This means that I'm interested in complex systems with a large number of elements that are interacting with each other in some non-trivial way and possibly leading to some emergent phenomena. Social systems are a good example: they consist of multiple elements (people) that are interacting with each other (social relationships) and lead to some very complex emergent behaviour (social groups, societies, conflicts, etc.). Other such complex systems include transportation systems, gene-regulatory systems in cells, ecological systems and many more. I see all of these systems as networks that can be studied with the similar sets of tools and theories. All of the above-mentioned systems, and many others, have been studied extensively using networks where the nodes (people, cities, genes, ...) are either connected by a pairwise link or not (friendship, road, regulatory relationship). This approach has been extremely successful. However, this abstraction discards a lot of important information about the system. For example, social networks have multiple types of relationships of varying strengths and they are inherently dynamic. Including such information greatly increases our understanding of these systems and processes on them, for example, how disease spreads on social networks. These types of more realistic networks are the focus point of my research. Weighted networks, in which each link has a weight associated to it. Larger weight typically means that the interaction between the nodes is stronger, the nodes are more similar or there is more bandwidth or flow between the nodes. Temporal networks are networks that change in time. Instead of links, one studies events between pairs of nodes or sequences of networks depending on the system and phenomena one is interested in. Multilayer networks represent systems that consist of multiple networks that can also be connected to each other. For example, above is an example of a network where there are two sets of links between the same set of nodes.